Adele is the popular British singer and poet. Her discography includes only three studio albums now, but her songs are famous all over the globe; her hits sound in top charts of popular radio channels, become soundtracks for blockbusters, and win prestigious awards. More than that, there is a separate Wikipedia page about Adele’s prizes and nominations. Adele Laurie Blue Adkins known as the singer Adele was born in London in 1988. Her mother Penny Adkins brought up her daughter alone: Adele had not even turned 3 when her father left the family. Adele demonstrated her musical talent at the early age: the girl was listening to Spice Girls and Gabrielle, and she sang beautifully. However, she did not see herself as a singer since she felt embarrassed about her body and considered herself too fat. When Adele was 13, everything changed: she heard Dusty Springfield’s, Ella Fitzgerald’s, and Etta James’s songs and realized that physics was not the most important thing; she felt she could be like famous singers. At that period, Adele asked her mother to buy her a guitar and learned how to play it. Soon, the young singer went to Croydon where teachers understood they were dealing with the future popular singer who would come forward in the world of music. In 2006, Adele finished the prestigious BRIT School for Performing Arts and Technology and started climbing the career ladder rapidly. She was 18 years old, and she could play the guitar and piano. Soon after the graduation, Adele’s two songs were published in the 4th issue of “PlatformsMagazine.com,” and her demo song that she had given her school friend several years before appeared on the music resource MySpace. Finally, a famous producer encountered the single of the then unknown singer with the unusual, velvet voice. Within a year, 19-year-old Adele received her first award and started touring in Great Britain. The new Amy Winehouse’s glory was growing quickly. In October 2007, the debut hit “Hometown Glory” came out; it was named the single of the week soon. In December of that lucky year, Adele signed the contract with the famous recording studio and had her second hit “Chasing Pavements” released. This song topped the British music chart for 4 weeks. At the beginning of 2008, the debut album “19” came out and flew to the top of charts just in several days. 500 thousand copies of the album were sold in a month which made it platinum. At the beginning of 2011, the second album “21” was released in Britain. Critics marked that the singer moved to the country style a little. One of the singles “Rolling in the Deep” topped Billboard Hot 100 for almost two months. The album itself remained in British, Irish, German, Austrian, and other countries’ charts for a month and a half. At the Brit Awards Ceremony, Adele performed the song “Someone Like You.” The single immediately got the first place in the British chart. It was the second time a performer could achieve this result: only “The Beatles” had done it before. In 2012, Adele had a new victory: her song “Set Fire to the Rain” topped the US Hot 100 chart. By May, more than 4 million copies of the album “21” had been sold in Great Britain. In the same month, the singer won 12 awards in 20 nominations and became the Billboard Music Award triumphant. However, the Academy Award and Golden Globe became the peak of the singer’s career in 2012. Both prizes were received for the soundtrack to the new James Bond movie. Later, the third prize for this project, the Grammy Award, followed. Both the movie and its soundtrack are entitled “Skyfall.” Adele kept the work on this music secret and mentioned “the special project” in fall 2011; she just gave the press and fans some hints. It was on October 1, 2012, 4 days before the track release, when the singer was officially named the contributor to the movie. In 2014, Prince Charles awarded the singer the Order of the British Empire for the development of the country’s culture and are. Adele’s fans had been waiting four years for the third album whose title, traditionally, symbolized how old Adele was at the moment of the album release; the album “25” came out on November 20, 2015. The long-awaited single “Hello” presentation took place in October of that year. Adele has a tattoo in honor of her mother Penny Adkins: it pictures a penny. 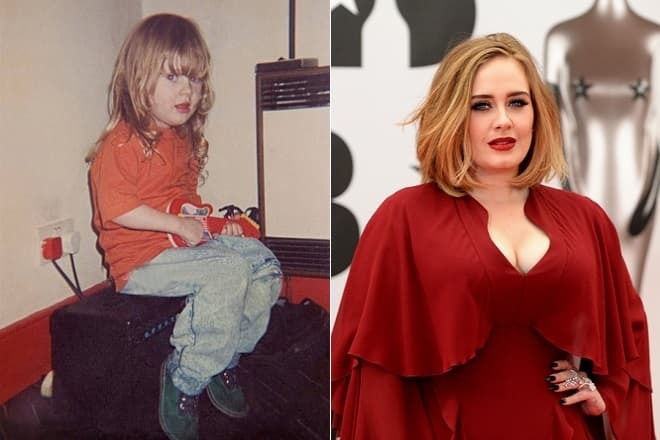 The singer is known to have warm feelings for her mother, and her attitude toward her father is negative since he had left the family when Adele was very small. 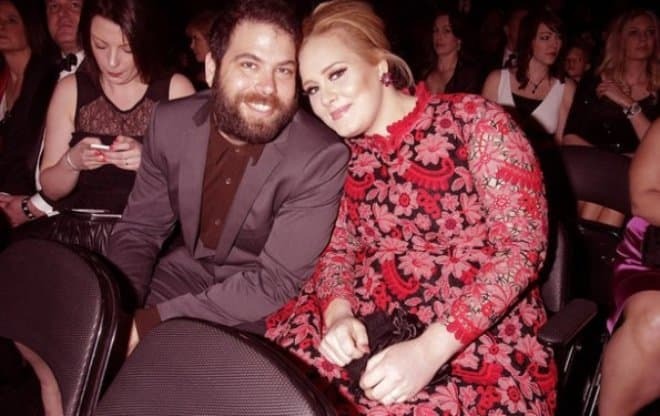 Since 2011, Adele’s personal life has been connected with Simon Konecki. The singer and the businessman lived in the civil marriage despite the fact that Adele was pregnant. In October 2012, their son Angelo James Konecki was born. 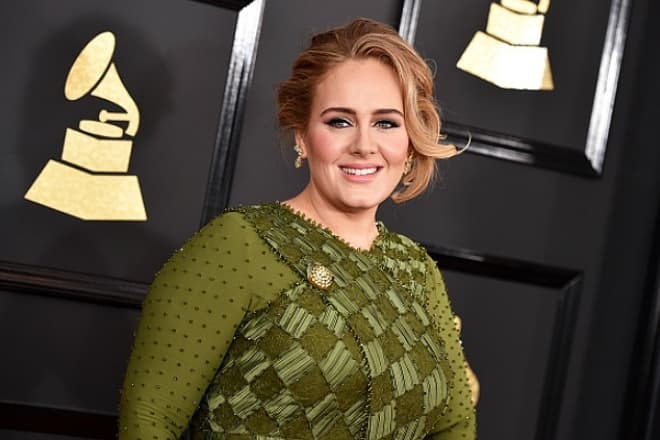 Adele, whose figure had been plump before, put on some weight after the child was born. Still, the musician was not upset about it. Adele claimed that fleshiness was natural and explained to her fans that she was not a model so she had no need to meet the beauty requirements. In her interviews, the singer often expressed the idea that one should accept themselves and their body; she called dieting useless and criticized the society that made young women sacrifice their comfort for the sake of fashion. Thus, Adele’s fans were even more surprised when the singer changed her appearance significantly in 2015. She lost weight: after that, the young woman looked like a completely different person. Adele confessed she hated sports but started training in a gym and liked lifting weights. Her appearance made her feel awkward at training, and she decided to lose some weight. The singer had a strict vegetarian diet and stopped eating starches, greasy, and spicy food. As a result, she lost 20 kg. Journalists share the example of the singer’s diet where a daily norm includes a bowl of fruit salad, a bowl of berries, a bowl of vegetable soup, nuts, and salad; the singer herself did not share recipes in official sources. 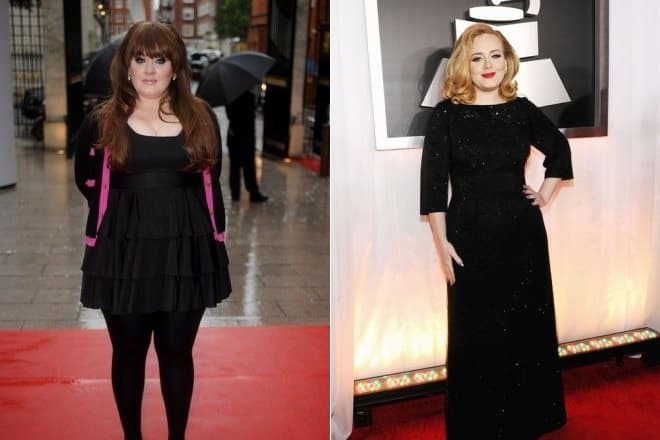 Adele is a passionate tea lover; as she began her diet, she loved smoothies. These drinks are always present in her diet and make a positive impact on metabolism. In January 2016, Adele presented and released the single “When We Were Young,” in May, the single and music video “Send My Love” came out. In 2016, Adele won in three out of four Brit Awards nominations; she also received the special prize: the Global Success Award. In 2017, the singer won in all five Grammy Award nominations. This victory made Adele the first singer who managed to win the Grammy Awards for Album of the Year, Song of the Year, and Record of the Year twice. In March 2017, Adele announced she had married Simon Konecki secretly; by that time, the couple had lived together for 6 years. The private ceremony took place in their mansion in Los Angeles. According to the singer’s official website, Adele gave a concert at Mt Smart Stadium in Oakland on March 26, 2017. Apart from the concert announcements and latest news, one can listen to Adele’s newest tracks on this website and go to the Internet store where official T-shirts and accessories with Adele’s photos and logo are sold. Adele has also a less formal way to communicate with her fans: she has her own Instagram page; 28 million people follow her. Together with stage photos, Adele posts party photos, selfies in a bathrobe, and photos where she just makes faces. There are also two mini albums: “iTunes Live from SoHo” and “iTunes Festival: London 2011” and ten separate singles which were not included in albums. In addition, Adele had a video album “Live at the Royal Albert Hall” released in 2011. Throughout her career, the singer has presented 9 music videos.